Provides an easy-to-use interface for upgrading firmware or uploading configuration files on multiple CyberPower network power devices. The CyberPower Upgrade and Configuration Utility software gives users an easy-to-use interface to upgrade firmware or upload configuration files on multiple CyberPower network power devices at once. This utility scans network devices for media access control (MAC) addresses that match CyberPower network hardware. This software also provides an easy-to-use interface to manage devices, and it records all of the users' performed actions in the log. The user interface provides an Operation View to control device actions and a Log View to see the log of recorded actions. The Operation View is primarily used to upgrade firmware, upload configuration files, and manage devices. The Log View will record actions after they are completed. Upgrade Firmware function is used to upgrade the firmware on remote devices through the local network. You can select a single device or multiple devices to upgrade their firmware simultaneously. Upload Configuration function is used to upload the configuration file to remote devices through the local network. You can select a single device or multiple devices to update the same configuration file. 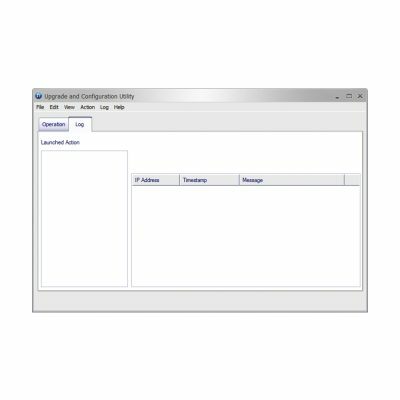 Download Configuration function is used to download a configuration file from a remote device through the local network. You only can select a single device at a time to download its respective configuration file. Upgrade firmware or upload configuration files on multiple network power devices at once. No agents are available right now. Ask a CyberPower tech support representative to contact you. Ask a CyberPower sales representative to contact you. Thank you for submitting your information. A CyberPower representative will get in contact with you shortly.